1929 ‘She’s my slip of a Girl’ (words and music) was published by The Music Publishing Co. Ltd. This number won first prize in the ‘All British Song competition, and was recorded on H.M.V., Columbia and Decca. “That in consideration of the payment by the Publisher to the Composer of the sum of Two Pounds and of the following royalties:-ten per cent of all monies received per copy on sheet music sales and fifty per cent of all monies received by the said Publisher in respect of Broadcasting, Gramophone and any other mechanical reproductions of the said Composer’s work entitled “Come Out in the Sun” the said Composer shall assign unto the said Publisher absolutely the copyright title and interests for all Countries and all rights of performance whatsoever of in and to the said “Come Out in the Sun” of which the said Composer declares he is the sole owner and that it is his property to assign. May 1937 to October 1937 ‘he was playing regularly at the “Houseboat”, a roadhouse near Radlet, Herts. A local magazine ‘The Willesden Monthly Illustrated ‘ wrote an article entitled “Once a Ledger Clerk”. In this article Cyril is quoted as having studied under Mr F. W. Belchamber F.R.C.O. to improve his piano technique and that he later studied at the Guildhall School of Music for a short while. 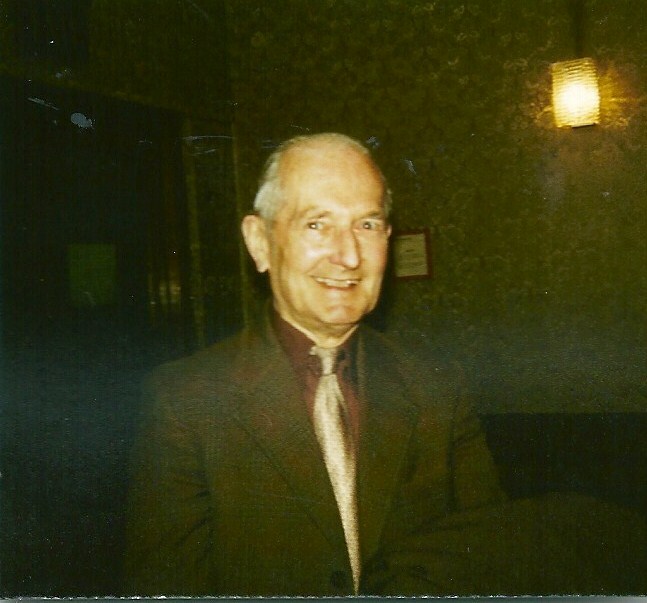 1942 saw his first published composition ‘Irene’, written in the RAF. The copyright contract gives his address as R.A.F. Neatishead, Norwich. 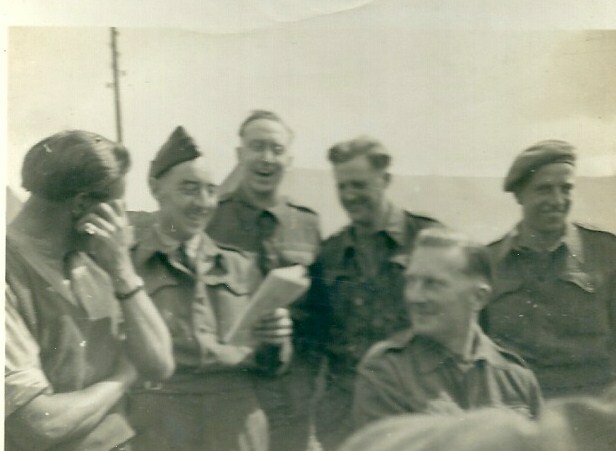 It also saw the production of a song based on his pals in the RAF called ‘The boys of the C.H.B. 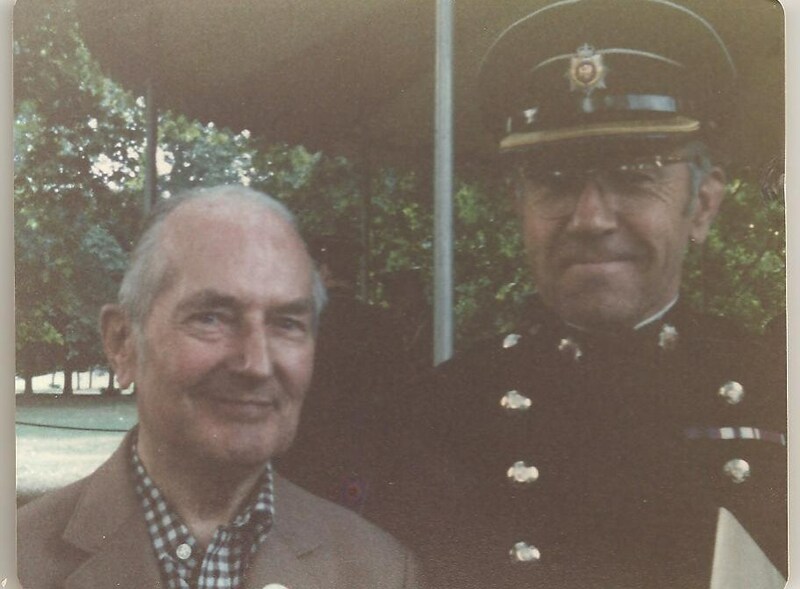 Early in February 1945 Cyril went to Belgium and then went on to Germany. In June he returned to England and in January 1946 he was demobbed. Whilst awaiting de mobilisation, he wrote and sent in ‘The Senorita didn’t mind’, to a competition. From 1946 to to 1950 Cyril was an arranger at Laurence Wright’s Music Company Ltd. That year he wrote the Redskin series including Sioux Serenade and Mohawk Mood. Most successful composition of early pieces ‘Bargain basement’. 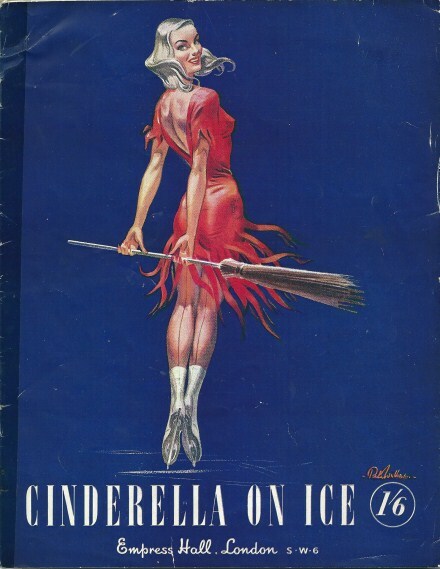 In the 1950’s Cyril was contracted to produce the music for his first Ice Show at The Empress Hall called ‘Cinderella on Ice’. He did all the orchestration and choral arrangements for this as well as composing any music required. The contract also required him to supervise all choral and orchestral rehearsals. Throughout the run of the show he had to attend at least once a week to ensure the standard was up to scratch. Cyril also did a similar job for ‘Puss in Boots on Ice January 1952. He was working on this from September 1951 to January 1952 and received the sum of £275.00 in complete payment. His pieces ‘Three cheers for Ferdinand’ and ‘Hush-a-bye-baby’ were written for and included in the show. In these days a ‘test card’ and background music was broadcast for the most of the day and many of his pieces were played there. 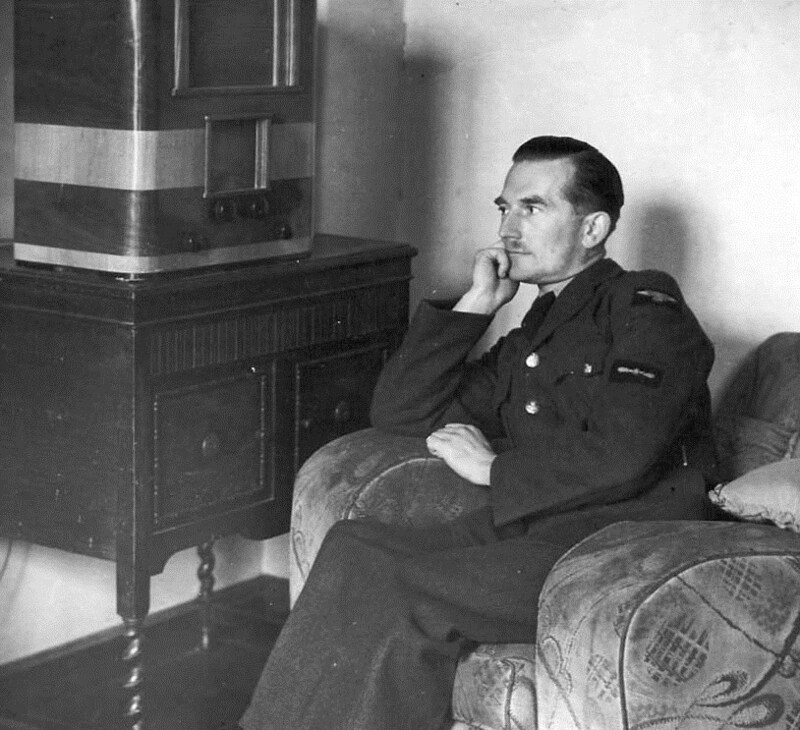 Later the BBC introduced intervals between programmes. One of Cyril’s pieces was played to the scene of slowly travelling up a winding river. 1952 saw many compositions. ‘Come on to Paris’ with words by John Moss was written for and featured in ‘Holiday in Paris’, Bournemouth, another ice show. Also written was ‘I can’t remember where I buried daddy’. Th is title probably stemmed from the beach holidays he was now having with the family. The children always used to bury him. This piece was one of several used in cabarets and concert parties. Another song was written especially for Tessie O’Shea ‘I was built for comfort’. 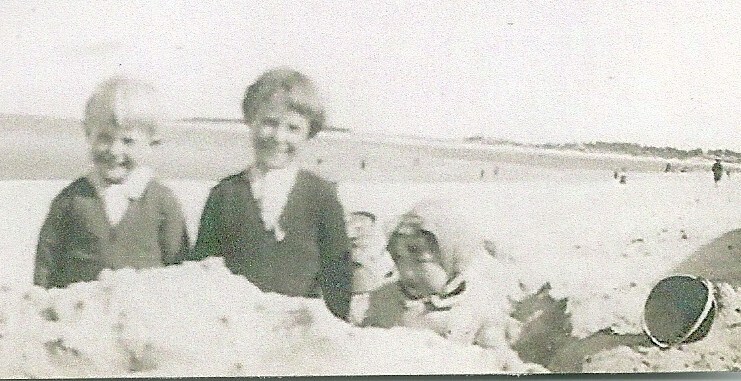 Tessie’s nickname was ‘Two Ton Tessie. She was an actress and entertainer. ‘Rush Hour’ was written for Janet Brown which was subsequently broadcast and televised. Between 1952 and 1954 Cyril continued to write for Ice Shows. In 1952 ‘Chinese Samba’ and ‘I was a Belle’ were written for and featured in the ice pantomime ‘Aladdin’ at Western Ice Rink, Bournemouth. In 1954 ‘Bertram Bankrupt is my name’, ‘Proclamation’, Gruesome Twosome’, and ‘New Prince Charming’ were written for the ice pantomime ‘Cinderella’ at Bournemouth. It was televised on January 7th 1955. In 1953 Cyril began to work as Chief Arranger for Boosey and Hawkes, another successful piece written ‘Piccadilly Spree’. In 1955 it was used as a signature tune on television ‘Performance’. This was one of his most rewarding pieces of music. In 1955 ‘Lady with a Past was written and first broadcast on April 23rd 1955. Cyril’s notes say for “TV Anne Hart”. He also wrote and recorded ‘So Little Time’. The words were by Frank Davey. 1956 saw ‘Road to the Stars’ written a ballad foxtrot song which was broadcast in the summer of 1956. In 1957 Boosey and Hawkes published ‘Willow Waltz’. An arrangement with strings was used when it became the theme tune of a TV serial ‘The World of Tim Fraser’ by Francis Durbridge in 1961. In 1958 Cyril was commissioned by Weinhecker to write 15 minutes of music for ‘Bozo the Clown’ an American cartoon. The third tune on the tape became used as a signature tune for ‘Newstime’. In 1959 Cyril entered another Song writing contest promoted by the ‘People’ Newspaper. 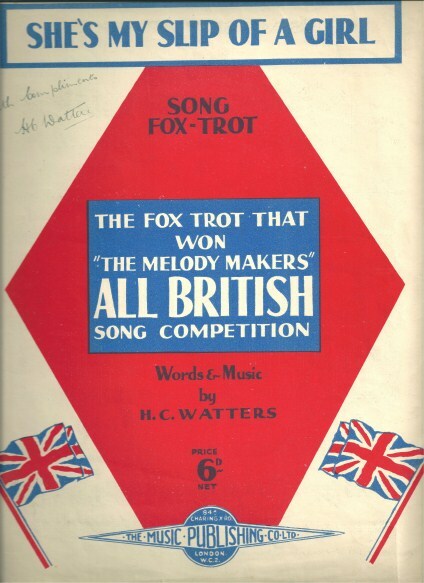 There were 20,000 entries He won 4th prize with his ‘White Wedding’ sung by Sheila Southern. 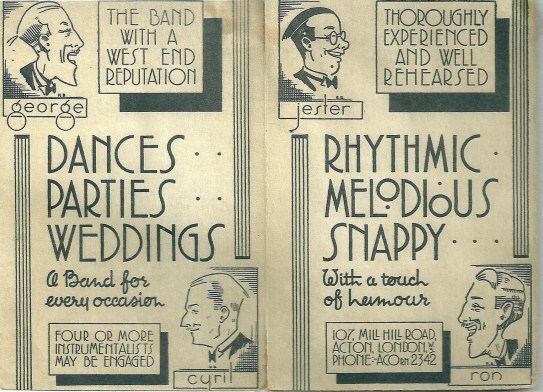 Cyril came second in the Ivor Novello Awards in 1960 for his composition 'Willow Waltz'. In the 1960’s Cyril was Secretary of the ‘Light Music Society’. In 1962 he gave up being the Chief Arranger at Boosey and Hawkes and went freelance. In 1964 ‘Pot Luck’ was used on Radio South East for four years as their signature tune. By this time Cyril had written 300 compositions, half of which was mood music ‘Dangerous Conflict’ recorded at this time which is different to any other compositions. Compositions can take weeks or months. However in 1968 with a day in bed, ‘Celtic Melody’ was written and completed that day. It remained one of his favourites. A large series of ‘Visits to ...’ began to be written which gave a flavour of many different countries. Please see the Memories of Cyril page for memories of this time. 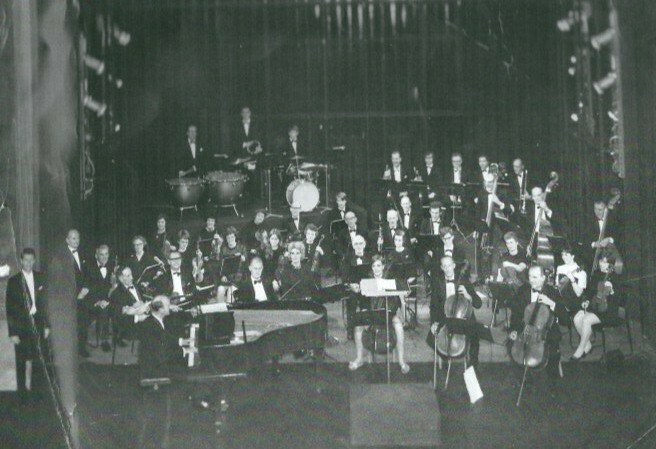 In 1970 Cyril conducted the Cambridge Light Concert Orchestra in a concert at the Arts Theatre, Cambridge. In 1971 Cyril became excited by Latin American rhythms, and ‘A Day in Martinique’ was written. In 1972/3 one of Cyril’s favourites ‘Morning Calm’ was used in the background music to the BBC Test Card. About this time his arrangements were; ‘English Fantasy’ recorded by Boosey and Hawkes. ; ‘Cathedral Strings ;John Peel. ; Variation in Yugoslavia – for continental use , mainly in Germany. 1972 saw ‘Second Thoughts’ for brass band recorded played by 78 RAF Military Band, Uxbridge. Cyril made an arrangement for a Libyan Arab client, Hadi A Sharif. This was of Sharif’s series of musical portraits expressing the originality of his country’s heritage. About this time saw the arrangement ‘By Royal Command’ recorded in 1979 by Harry Mortimer as ‘Marching Contrasts’. This is described on the sleeve of the record as “A majestic, ceremonial type of march, descriptive of its title. 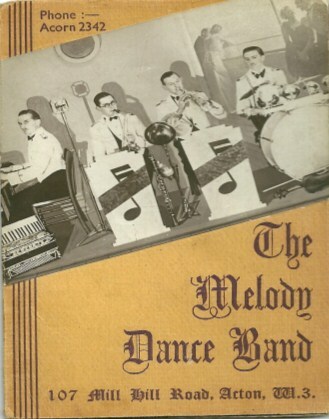 From 1974 to1979 ‘Sleepy Serenade’ played in ‘Melodies for You’ on radio by Reg Leopold and his Orchestra. From this time the Performing Rights Society did not need to be notified by composers of their published works, and relied solely on the publishers. In 1981 he has recorded that Merry Andrew, Sweet Seventeen, Serenade to a Princess were published.. Animals at Play and Fashion Show were advised to the PRS as USA numbers, and Fancy Free is recorded as published in July 1981. In 1982 ‘With Honour Crowned’, ‘Buglers Lullaby’, ‘Triple Trouble’ and ‘Homecoming’ were published. His last entry was for Dovedale in 1983 published by Fionmace Ltd.